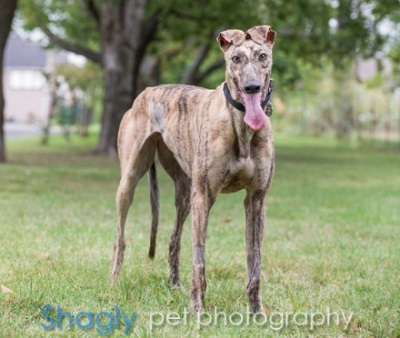 Pretty Girl, aka Oshkosh Intense, is a 2 year old brindle female born May 12, 2015. Her sire is Lonesome Cry and her dam is Flying Humidity. 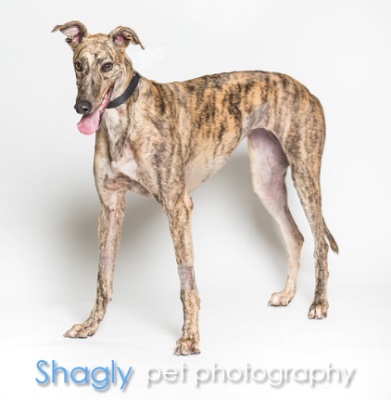 Pretty Girl ran 45 races according to greyhound-data.com starting at Naples-Ft. Myers in Bonita Springs, FL on December 21, 2016 and finishing at Daytona Beach in FL on July 11, 2017. All that Pretty Girl wants now is a family to love. It is not known at this time if Pretty Girl is cat or small animal tolerant.